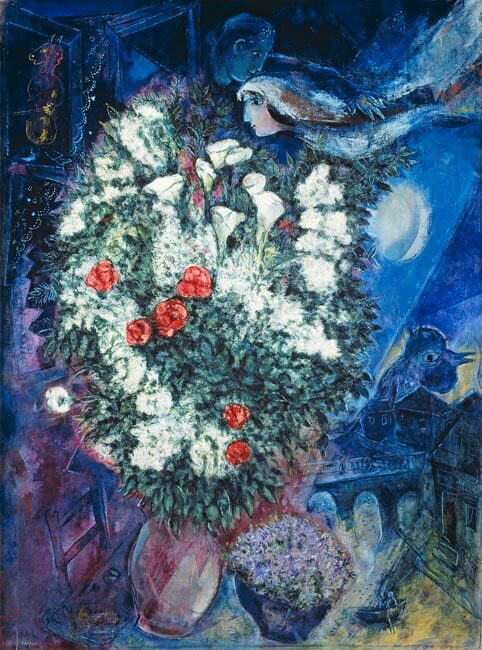 Who hasn’t been entranced by Chagall’s surreal and vividly coloured paintings of lovers surrounded by flowers and clasped in an embrace flying across the sky? And who wouldn’t be captivated by the writer’s Daniel Jamieson’s portrayal of Chagall’s love affair with his first wife. 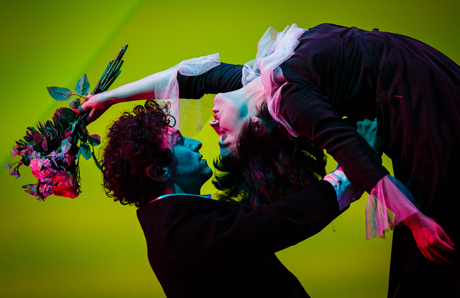 Marc Chagall played by Marc Antolin and Bella Chagall by Audrey Brisson, perfectly capture their childlike delight for each other and their joy for life. It’s a marriage made in theatrical heaven, and brought to Bristol’s Old Vic by Emma Rice, formerly Director of the Kneehigh Company. 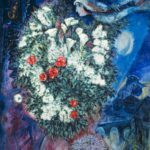 The production, the story of their life together, veers between fantasy and harsh reality but it is also the story of Russia’s turbulent history and forms the background to the development of Chagall’s art. Told in a series of episodes it begins with Chagall’s childhood. Born into a Hasidic family, he later travels to Paris and Berlin, marries Bella, survives the War, the persecution of the Jews, and the destruction of Vitebsk. All of which is narrated against a haunting background of Jewish religious music, song, synchronised dance and the spoken word. Marc and Bella excel in their ability to move between one expressive mode to another ─ Marc even looks like Chagall. The production was, for me, a triumph and demonstrates how great art can also translate into the spoken word as well as physical theatre.